Glass Repair Seattle: Glass Shower Door? Or Shower Curtain? Glass Shower Door? Or Shower Curtain? 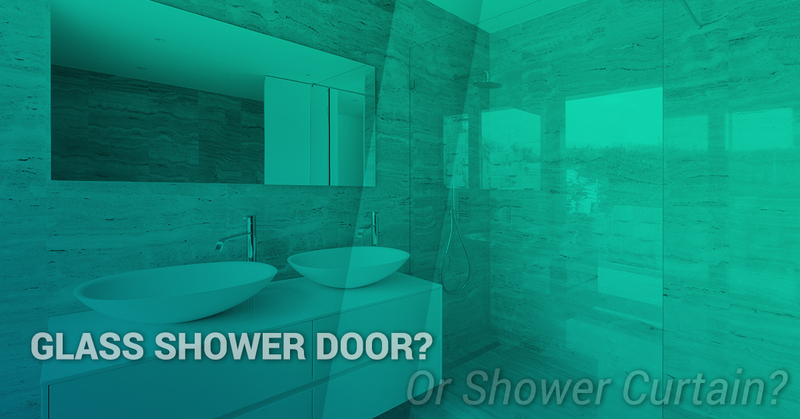 Choosing between a glass shower door and a shower curtain can come down to what’s already there and personal taste. If you moved into an apartment or home with a glass door already in place, there may not be much of an option to replace it with a shower curtain. But if you have the good fortune to redesign a bathroom and have the choice, what do you go with? If you choose a glass door, make sure you have a reliable glass repair company you can contact in case a chip, crack, or worse case scenario, a complete shatter takes place. Softens Appearance: Whatever style of shower curtain you choose, it can soften the look in a space that is typically full of cold tile and other hard surfaces. Choose from a variety of fabric options and select one that will soften the edges a bit. Adds Personality: Have you always dreamed of a pink bathroom? Or polka dots? Or an all black themed bathroom? Whatever your personal taste and style is, you can make your dreams come true with a shower curtain. Easily Change the Design Theme: Feel like a change? If you’d rather a brighter space after an all-black bathroom or want a more sophisticated look after the pink curtain, it’s easy and inexpensive to make a design change. Makes the Space Appear Bigger: If you live in a 500 square foot apartment in downtown Seattle, a design trick to make your bathroom appear bigger is bringing in a glass door. Just make sure that you’re ok with showing off your yellow duckies. 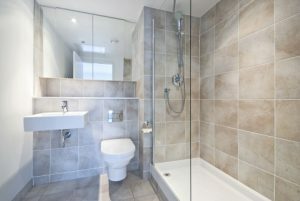 Easier to Clean: Do you ever grow tired of replacing shower liners due to mold or mildew growing? Not only can this be tiresome, but purchasing liner after liner can get expensive. Keeps it Simple: If you have a countertop full of lotions, hand towels, and soaps, walls full of decor, and cabinets overflowing with other bathroom appliances, you may want to keep it simple with a clear and open glass door. If you choose a glass door for its clean aesthetics, don’t put up with chips or cracks in the surface. At Pro-Wide Glass, we can assure you that we can quickly and efficiently repair or replace the glass door in your bathroom. 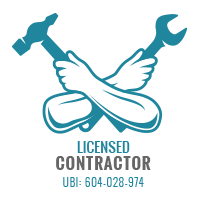 Call us today for an estimate on your glass repair needs and finally restore your bathroom. Have other glass repair needs? We can also help you with your commercial glass, window repair and replacement, and more.